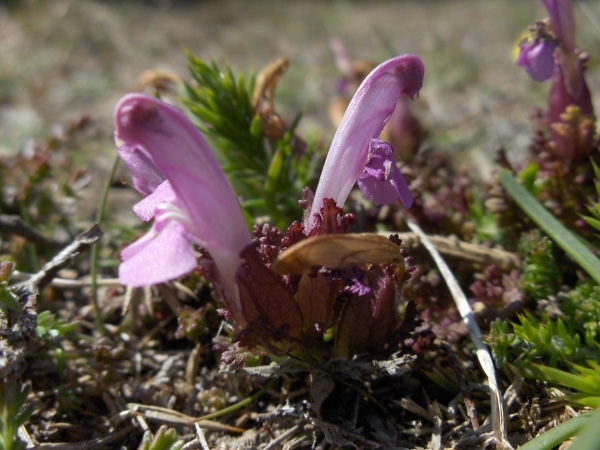 Despite its name, Pedicularis sylvatica is almost always found on moors and heaths, and not in woodland. 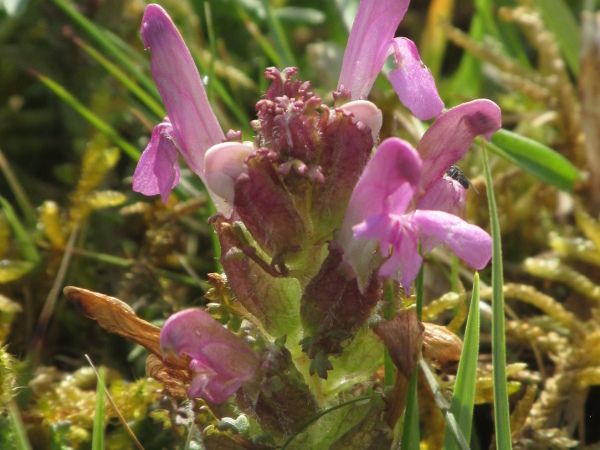 Two subspecies of Pedicularis sylvatica occur in the British Isles; the more widespread is P. sylvatica, which has hairless pedicels and the calyx with hairs only on the angles and around the throat, or not at all. P. sylvatica subsp. 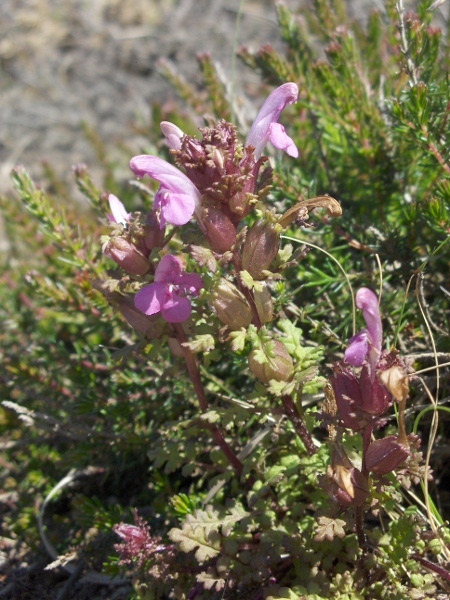 hibernica has hairy pedicels and calyces; it occurs in Ireland, South Wales and parts of western Scotland.